The ANC used to have a state-of-the-art campaign machine. It was professional, made sensible use of research and advertising, and carefully targeted its appeals to voters. This week, however, the pressure began to tell. In two key provinces, Western Cape and Gauteng, the ANC has been wracked by tantalising hopes and terrible fears. These provinces represent the future of the country, with their young and growing populations and their vibrant economic activity. As usual, the ANC’s campaign head, Fikile Mbalula, has rallied prominent celebrities. Actress and model Minnie Dlamini; rapper AKA; seductive lyricist Chomee; hunky actor Ntokozo Dlamini; and celebrity writer and philosopher Peter Bruce: all have rallied to the ANC’s cause. 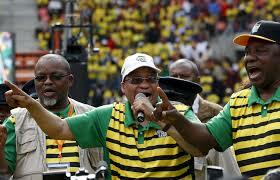 The ANC’s internal polls, however, suggest the movement is still in danger. It has responded with an uncharacteristic throw of the dice: by instigating protests against the DA-led city governments in Johannesburg, Tshwane and Cape Town. The “Alex shutdown”, launched more than a week ago, has involved an uneven and mostly unimpressive distribution of barricades, symbolic violence, and political verbiage. At the centre of the “shutdown” has been a call for DA mayor Herman Mashaba to come to Alex and atone for his alleged sins. Given that there is obviously a plan to hound him out of the township — to “chase him away with his tail between his legs” — he has so far wisely declined the invitation. On Tuesday, provincial premier David Makhura attended a meeting in Alex with “community leaders” (ANC cronies). He emerged to lambaste the mayor. Busloads of activists were meanwhile laid on in the township to celebrate Thursday’s programme of inauthentic community engagements with President Cyril Ramaphosa. The Tshwane shutdown that began earlier this week, and the Khayelitsha shutdown that is currently underway, are likewise based on demands that DA mayors must “account to the community” for their misdemeanours. Sentimental political activists will find it almost sweet that ANC leaders still think their party is a popular movement of the masses. Unfortunately for the ANC’s top leaders — who must have signed off on the shutdown — the whole fiasco has been marked by extraordinary incompetence. The ANC’s fingerprint on events has been so obvious that no citizen more sentient than a potato could view these protests as spontaneous or organic. A large number of fake Twitter accounts were created to spread prepared messages about the Alex shutdown. Does the ANC not even have technologically competent people to cover its tracks? Why choose such implausible protest messages? Are “high water bills” really the key political issue in Khayelitsha? The ANC and DA alike have been toying with “xenophobia” in recent weeks. This is the criminal targeting of poor black people from other countries — and often from the northern provinces of SA — for intimidation, extortion and violence. So concerned was the ANC that its popular rebellion would fail in Alex, that it mobilised xenophobia as the central issue in the shutdown. This is beyond pitiful. The ANC also failed to anticipate voters’ backlash against being treated like imbeciles. Social media attention understandably turned to the disappearance of the R1.3bn dedicated to the Alex Renewal Project more than a decade ago. The ANC hoped to exploit a general confusion with regard to the powers and responsibilities of cities, provinces, and national government departments. But most citizens know mayors do not exercise exclusive control over housing, education, and health programmes. The shutdown nonsense has drawn attention to the failure of the ANC at national and provincial levels to support city projects in DA-run councils. Worst of all, the liberation movement has been campaigning on the potential change promised by reputable leaders such as Ramaphosa and Makhura. They represent the “good ANC” that is supposedly going to rescue us from the “bad ANC” we have recently experienced. But these squeaky clean politicians have now played leading roles in a poorly scripted campaign drama that has been based on lies, the terrorisation of foreigners, and the exploitation of the misconceptions of the poor. This is not a good campaign strategy. THE idea of one-party dominance has shaped a good deal of political analysis since 1994. The overwhelming political power of the ANC has been viewed both positively and negatively. Governing party sympathisers have portrayed ANC control as the only sure way to stabilise a divided society, to widen economic opportunities and to entrench democratic politics. Inequality and racial division, from this view, have been major threats to social stability. The ANC has managed such potential conflicts internally, balancing state and party appointments, cajoling different races to work together, and clamping down on potentially anti-democratic leaders. Robust multi-party competition, in contrast, would have destabilised a political system that lacked sound, legitimate and trusted institutions. The negative view of ANC dominance has been argued equally vehemently. Elections without the countervailing power of a credible opposition, this argument runs, cannot check authoritarian tendencies. Party dominance encourages an arrogant governing party to view itself as the state; it allows patronage politics to grow unchecked; and it facilitates the abuse of the incumbency advantages, money and media control in order to secure re-election. Both these sets of insights are illuminating (although many commentators have embraced only one or the other). One positive interpretation of the local government elections is that the country is escaping the dilemmas that dominance potentially creates. Over the past 20 years, the ANC has indeed entrenched the legitimacy of democratic institutions – for example, the courts and the electoral commission – by making them more racially representative and by aligning them to a constitutional order. South Africans have meanwhile become accustomed to free and fair elections and will not lightly consent to their manipulation. Meanwhile, the opposition parties that once evidently lacked the ability to govern a complex society have gradually acquired such capabilities. The DA, in particular, has learnt how to govern in big cities and provinces, how to build coalitions, and how to recognise, and partially manage, the legacies of racial oppression. This rosy view suggests that democracy may not merely survive, but also thrive, in the years ahead. Elections will become sites of political uncertainty, in which parties will need to respond to electors’ values and demands in order to win. 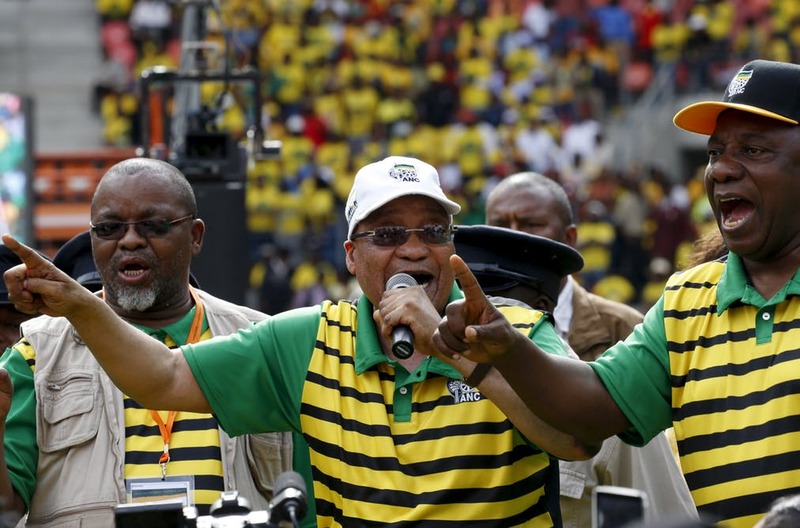 The ANC may still govern, but it will need to remake itself in order to do so. Opposition parties, for their part, will have to remain open to coalition and compromise, and to reach out beyond their core constituencies. Perhaps this is too rosy a view. The EFF may rejoin the ANC in 2019, taking opposition politics back to square one. The ANC leadership might take an authoritarian turn, trying to rig elections and curtail political competition. The legacies of apartheid, meanwhile, mean that inequality and injustice will continue to provide opportunities for racial mobilisation for decades to come. The ANC, however, is a vast, sprawling and ideologically diverse movement that is very unlikely to fall under the effective control of an authoritarian leadership. The securocrats with whom President Jacob Zuma has surrounded himself, and even the celebrated ‘premier league’, lack the capabilities required to cement anti-democratic one-party rule. A more real danger is that the game of democratic politics will distract political leaders’ attention from the constraints that the economy places on any government’s actions. The ‘dominant’ ANC’s most important achievement since 1994 has been its steadfast maintenance of prudent fiscal and monetary policy, despite all of the pressures and temptations to abandon it. For this accomplishment, it has been ridiculed and lambasted for two decades by self-indulgent commentators, trade unionists, civil society activists and scholars. The key hazard of a more competitive era of democratic politics is that symbolic and populist economic policies will become inescapable for any party that wishes to win power. Julius Malema’s organ, the EFF, has enjoyed some real successes. It exceeded 6% on its first electoral outing, placed land reform and youth unemployment on the political agenda, and rejuvenated the National Assembly. Putting ideology aside, it entered into qualified partnerships with the DA after the local government elections. The EFF also has well-known weaknesses. The party’s ethnic and regional concentration continues to be a major limitation, especially given President Cyril Ramaphosa’s large political footprint in Gauteng and Limpopo. In KwaZulu-Natal, where the EFF’s juvenile militarism seems laughable, it secured less than 2% in 2014. The party has evidently overcome its shortage of resources, but it has had to compromise with alleged gangsters and bank looters to do so. The central problem for the EFF, however, lies in its leadership. It is totally dependent on Malema to secure its current base. But the “commander-in-chief” sets a cap on what the party can achieve in future. Whatever the strengths of Floyd Shivambu — and they are not obvious — he could never replace or challenge his leader. At the Farlam commission of inquiry, Ramaphosa effortlessly made the party’s number three, Dali Mpofu, look like a rambling imbecile. The only politician of real talent in the party’s central command is spokesman Mbuyiseni Ndlozi. While Shivambu’s instinct is to pin journalists physically to the wall, Ndlozi has some credulous reporters eating out of his hand. Little wonder he was apparently massaged down the party’s candidate list to seventh position. Malema’s uncontested dominance contrasts with the contested leaderships of the ANC and the DA. As has been noted of North Korean leader Kim Jong-un, who is of a similar age and policy orientation to Malema, a Great Leader poses real challenges to any party. It makes some political sense for the EFF to attack members of racial minorities who are not going to vote for the EFF in any event. Malema’s only partly reassuring 2016 comment that “we are not calling for the slaughtering of white people, at least for now” may verge on the promotion of genocide, but it nonetheless motivates some of the EFF’s base. Racist attacks on Indians in government can also be electorally rational. If one has bigoted supporters, pandering to their bigotry can increase the intensity of their devotion to the Great Leader and his party organ. After all, DA and ANC leaders are for the same reason pandering before the elections to anti-foreigner sentiment that they know could cause loss of lives. What is curious about Malema is his decision to escalate attacks on the majority of SA citizens: women. Bigoted men constitute a large minority of electors, and a majority of current EFF voters. But a decision to alienate more than half of the electorate seems an unlikely strategy for growing a small party’s vote. When television and radio presenter Karima Brown inadvertently sent a message to an EFF Whatsapp group last week urging her colleagues to investigate whether Malema had any women in his new group of “party elders”, Malema had no hesitation in reposting the message, together with some political innuendo and Brown’s cellphone number. He must have known that this posed a real danger to Brown’s well-being, or even her life. It will be interesting to see if the EFF is successful in finding some elderly women with sufficiently little self-respect to accept a last-minute drafting on to the party’s elders’ council. Party strategists are not concerned merely with the number of votes they can muster in the election, of course, but also with the politics of post-election coalition. Malema and his sidekick Shivambu have already indicated that the EFF is not a real political party: it is an ANC faction, waiting solely for an opportunity to return to the mother body on favourable terms. By pre-committing the party to deal with the ANC only, Malema has thrown away the party’s potential leverage. Any party willing to negotiate with Malema, meanwhile, will be tacitly accepting the legitimacy of his abhorrent attitudes towards women. Some short memories out there right now. Brandan in 2009. The ANC has quite often been a lousy party of government. As a campaigner in national elections, in contrast, it has been consistently formidable. Victories are often attributed to factors outside the ANC’s control, such as voters’ knuckle-headed loyalty, entrenched race-based voting, or the self-destructive tendencies of opposition parties. These arguments are not terribly persuasive. Black citizens’ votes are now spread across a range of competing parties. White voters have become increasingly tribal, it is true, but their block vote for the DA scarcely bolsters ANC power. The two big opposition parties, moreover, know their way around an election campaign. This means the ANC deserves some credit for its electoral successes. It has cleverly reaped rewards for citizens’ gains, including improved access to housing, household services, and social grants. The ANC’s political research and advertising is quite professional, and its campaign team is selected on merit, regardless of factional allegiance. It targets specific constituencies — including religious actors, traditional leaders, and black businesses — cynically but precisely. The least recognised electoral skill of the ANC leadership has been knowing when to split, how to split — and when not to split. One misleading argument widely advanced today is that the ANC is unusually divided in advance of the May 8 ballot. Such alleged division is contrasted with a prior tendency to “pull together” before elections. In late 2008, however, the national executive committee (NEC) of the ANC forced state president Thabo Mbeki to resign barely months before elections were due. The NEC acted in full awareness that Mbeki’s minions, such as Mosiuoa Lekota, Mbhazima Shilowa and Mluleki George, would quickly be dispatched by the Supreme Being to form a breakaway party that became known as the Congress of the People (Cope). Cope received about 7% of the vote in 2009 – without doubt mostly lost ballots for the ANC. But Cope’s creation allowed the internal politics of the ANC to stabilise, bringing consensus to the candidate list process, a halt to purges of Mbeki loyalists, and a coherent campaign. In the run-up to the 2014 elections the ANC leadership precipitated the creation of another breakaway party, the EFF. The immediate driver of Julius Malema’s initial five-year suspension in late 2011 was his switch of allegiance to the anti-Zuma camp. His full expulsion in 2012 flowed from a wider recognition in the leadership that he was a divisive force. The EFF secured more than 6% in 2014, again primarily drawn from likely ANC supporters. As in 2009, however, the split enhanced the cohesion and effectiveness of the ANC. Another split might have followed Jacob Zuma’s recall from the presidency in February 2018. A breakaway would have supported the new leadership’s otherwise somewhat implausible central campaign narrative: that the “good ANC” under Cyril Ramaphosa is rehabilitiating the movement, while the “bad ANC” responsible for “state capture” is being expunged. Three factors militated against a split. First, key Zuma apparatchiks inside the party machine declared immediately that they would stay put. The close initial balance of power between winners and losers meant quickly forced expulsions were hard. Second, the reliable part of the support base of the ANC is significantly smaller than in previous elections. Even if a breakaway of Zuma loyalists secured just 6%-7% of the vote, as Cope and the EFF managed in their first elections, this would risk an end to ANC majority government. Finally, Cope was in part an ethnic breakaway, funded by Eastern Cape political families. For its part, the EFF has enjoyed strong representation only in the north and Gauteng. But neither party has come close to winning a “home province”. A post-Zuma breakaway, in contrast, could easily have secured the balance of power in KwaZulu-Natal and so reversed the ANC’s historic gains in that province. The winners and losers alike have decided to remain together, at least for now, in the ANC’s big tent. They have been quite rational in doing so. It is hard to know exactly what Congress of the People leader Mosiuoa Lekota was thinking when he launched his premeditated attack on President Cyril Ramaphosa as a “sellout” in parliament this week. The paths of Ramaphosa and Lekota crossed in the 1970s as a result of their shared participation in black consciousness politics. Lekota, however, was four years older, and already a part of the national leadership of the movement. Ramaphosa was a young student whose contribution to the struggle was at that stage mostly confined to the backwaters of the University of the North. When security police rounded up more than 200 black consciousness activists in a countrywide sweep in September 1974, Ramaphosa was too junior to be targeted. Ultimately just 9 senior leaders, including Lekota, Gilbert Sedibe, and Saths Cooper, would be prosecuted in the “black consciousness” or “Saso” trial that dragged on from January 1975 to December 1976. Displaying bravery and resilience in the face of isolation and torture, the trialists became heroes in the eyes of their followers. Ramaphosa, meanwhile, was arrested at the police station in Turfloop under section 6 of the Terrorism Act, while he was leading a march to protest against just such detentions. He spent the next 11 months behind bars in solitary confinement. Detention was used to collect intelligence, to remove the leadership tier of anti-apartheid organisations, and to spread divisive rumours about collaboration. They were not in this case successful instruments for getting activists to testify against their jailed leaders: in the Saso trial, almost nobody testified against the 12. For those who were detained without trial, meanwhile, the experience was dominated by fear, confusion and uncertainty. For the first months of solitary confinement Ramaphosa was allowed absolutely no reading material, not even a bible. He could hear the opening and closing of doors when others were released, and every day ended with shattered hopes of freedom. He retained his sanity by naming the insects that crawled across the floor of his cell. Those who were detained but not charged, such as Ramaphosa, became the victims of security police strategies to sow confusion and mistrust. One tactic was to list detainees as potential state witnesses against the accused. Once listed, a prisoner could not be released on bail, and his detention was likely to drag on for further months. Listing drove a wedge between a detainee’s family, allies and friends, and those of other detainees. The paranoia that was to mark the internal struggle of the 1980s — where everyone was a potential spy — was reaching its zenith. Locked away and disoriented, a detainee could also quickly come to believe that his friends doubted him. Cooper was held in a neighbouring block to Ramaphosa at C-Max prison in Pretoria. The prisoners would pass messages from cell to cell, using code names and words to keep information safe from informers. In this way, Cooper became aware when Ramaphosa had arrived. Political activists in the 1970s learnt very fast that the psychological mind-games of the secret police must not be allowed to destroy the humanity of their victims. They also learned that no detainee could hold out indefinitely against interrogation, especially when solitary confinement, or torture, were used. Prisoners would often sign affidavits that were not strictly true. As activist-teacher Tom Manthata later recalled, “I never allowed myself unfounded suspicion that people were ‘sell-outs’ or whatnot. You are a sell-out only if you testify.” These were all hard-earned lessons, which Lekota in his advancing years seems to have completely forgotten. • Butler teaches public policy at the University of Cape Town. This piece draws on a new edition of his biography of Cyril Ramaphosa, which will be published by Jacana in April. The campaign focuses on indirect taxes, notably the fuel levy, though it also rails against increases in income tax, value-added tax (VAT), and sugar tax. “When you fill up your tank, you will pay R265 (a third!) directly into the pockets of the ANC-govt, in tax! … Stop these exorbitant petrol price increases by taking action against corruption instead.” The ANC must “balance the budget by CUTTING corruption — not taking from the pockets of the people”, it says. The DA deliberately conflates the state with the ANC — the “ANC-govt” — into whose “pockets” a third of the cost of fuel is transferred. All this comes on top of the party’s apparent support for the nonpayment of e-tolls. Zille points to “a whole lot of tax revolts in progress right now”: nonpayment of Eskom by municipalities, nonrenewal of TV licences, refusal to pay e-tolls and government ministers’ alleged failure to pay income tax. The DA’s official campaign forefronts indirect taxes. VAT accounts for a quarter of revenue, while customs duties, excise duties and the fuel levy together account for about 15%. Zille, in contrast, focuses on 4.9-million“ordinary diligent middle-class taxpayers”. This is a little more than the number of people who voted for the DA in the last national elections, a little less than the population of the Western Cape, and exactly the number of whites in SA. Zille’s rhetoric seems designed to fuel the perverse sense of victimhood that sometimes grips these three groups, some of whom, it is fair to say, are abnormal and not especially diligent. The number 4.9-million is also the proportion of SA’s 14-million registered taxpayers who are responsible for 97% of income tax receipts, but 60% of tax revenues do not come from personal income taxes at all. If I participate in a democratic election I am perhaps consenting to obey the winners. More plausibly, we may be under a moral obligation to obey a state that protects human rights or provides a wide range of liberties to its citizens. But Zille makes a fundamentally important point: we should not obey the law just because it is the law. We have a duty to act in accordance with our own moral judgments. However, those like Zille who promote defiance should undertake their campaigns in a morally serious spirit, and with a clear awareness of their potentially negative consequences. It does not seem prudent, on the face of it, to play political games with a tax revolt in a country engaged in a difficult experiment to entrench the legitimacy of constitutional government. Personal tax compliance is already falling, and many of Zille’s cherished 4.9-millionwill cloak self-interest under the moral bluster of an anticorruption campaign. A successful revolt would force government to increase indirect and company taxes, and this would have severe consequences for employment and for the wellbeing of the poor. Tax compliance, once significantly weakened, will prove hard or impossible to re-establish. There is no need to resort to the ridiculous claim that Zille’s actions are tantamount to treason. But we should ask the DA, and Zille, to try instead to win the election — and perhaps also to grow up. SA citizens who are feeling sorry for their allegedly besieged president should cheer up. Cyril Ramaphosa’s situation is not as perilous as some observers have claimed. It is difficult to see how former president Jacob Zuma’s cronies can launch a “fightback”. The ANC likes to imagine it has the power to “recall” a state president. But this alleged power is not found in the movement’s constitution. To be effective, a recall has to be backed by a credible threat to whip ANC MPs to vote against their own president in a no-confidence vote. Even if a scandal erupted, Ramaphosa would first have to be kicked out of the ANC presidency, and that isn’t going to happen anytime soon. The next elective conference is in 2022, when Zuma and his cronies will be long gone. Today’s likely suspects — Zweli Mkhize, Paul Mashatile, and David Mabuza — each suffer from fatal limitations. Health issues aside, we will almost certainly not see a new ANC president until 2027. There are various reasons the threat to Ramaphosa has been exaggerated. First, it suits Ramaphosa himself — for now. Even long-term opposition voters are rallying to his side, determined to “save him for the nation” in the upcoming elections. Only baby-faced street fighter Pravin Gordhan has tear-inducing thespian genius that can compare to Ramaphosa’s. Second, the ANC’s conception of “seniority” always makes it hard to put old presidents such as Zuma out to grass. Nelson Mandela had to be shouted down in the national executive committee to stop him attending. By 2002, Thabo Mbeki refused to pick up the phone when the old man called. Third, South Africans often assume that an election win boosts the authority of a president. In presidential systems, that is true: the power of the leader is indeed greatest at the start of his term. But SA has a parliamentary government and citizens vote for a party. The power of a president or prime minister in such a system is not a post-election injection; it is accumulated over time. It took Mbeki some time to centralise personal power in an enlarged presidency. He simply ignored the pleas of many special interests and imposed his own foreign policy — and public health — preferences. Zuma’s presidency began feebly in 2009. The new ANC leadership said “collective decision-making” would be the new norm. Pretty soon, however, Zuma was on a roll, using party power to control the state and state power to control the party. By the time he was evicted in 2018 he had become a danger to democracy. Ramaphosa’s apparent vulnerability is therefore the norm rather than the exception. His power will grow as he weeds out old-order apparatchiks and accumulates control of the levers of state power and patronage. Zuma has taught us that key centres of power — in the criminal justice system, intelligence services, parastatals, revenue authorities and the Treasury — can be seized by a determined politician who is willing to use presidential prerogatives to the full. The ANC can do little or nothing about it. Once entrenched in the Union Buildings, Mbeki and Zuma did indeed accumulate powers relentlessly and sideline their rivals ruthlessly. Patronage and political manipulation, once injected with the emotions of fear and sycophancy that a president can inspire, were sufficient to propel these two rather implausible and unlikeable leaders surprisingly close to perpetual power. How much harder will it be to contain the loveable Cyril Ramaphosa?